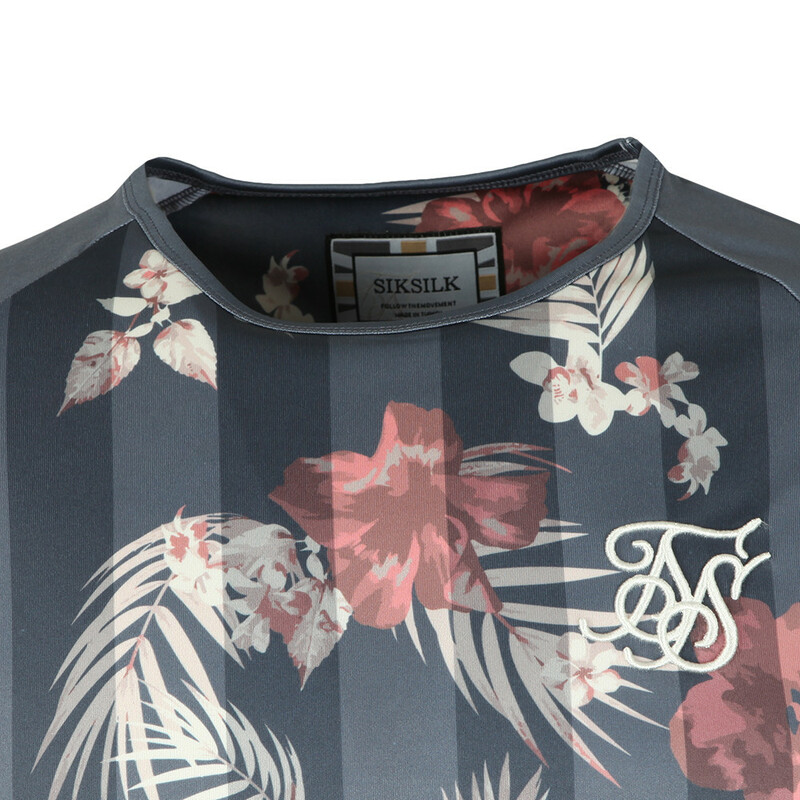 Sik Silk Hazey Daze Tee in Navy, designed with an all-over floral pattern and plain sleeves. 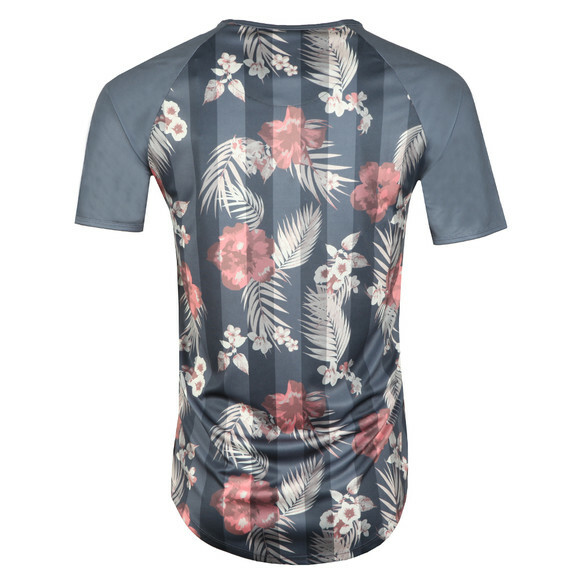 Tonal stripes are added to add a texture to the top. 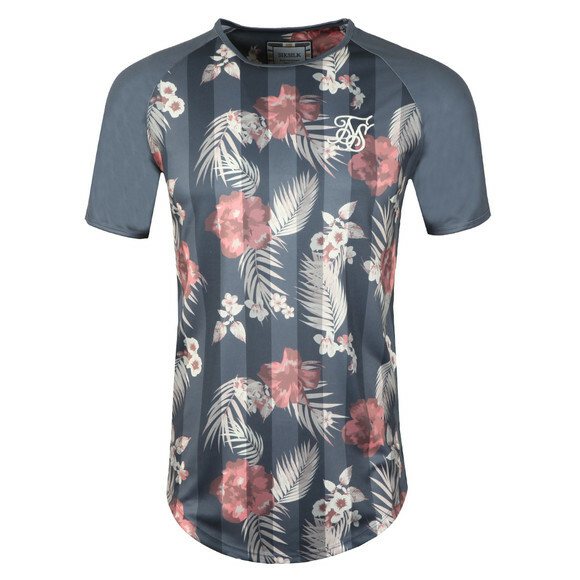 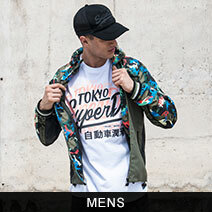 Sik Silk have then added an embroidered logo on the chest.